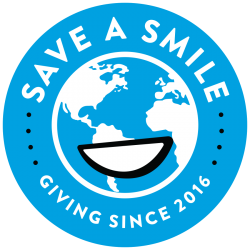 Save a Smile is a 501(c)3 nonprofit organization providing funds to build hand washing and tooth brushing stations at elementary schools in the Philippines. Our goal is to spread dental health awareness across the world! With each Save A Smile Station, 1,000 children can practice healthy and happy toothbrushing. Join an incredible movement and support a lifetime of healthy smiles by donating TODAY! We thank you in advance for your support and for your help spreading the word about Save A Smile.